Small flowered, deep pink with white spots at the centre. Narrow, notched flat snowflake petals. Sourced from Japan, the name translates as “Red Dragonfly”. A very attractive Sakurasu which dates from the late 1800s. Flat blooming, sleder petalled pin. 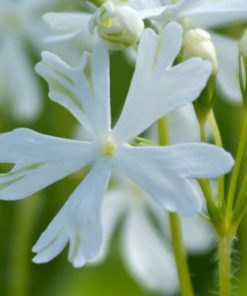 Deeply cut narrow pure white flowers with occasional streaks of green. 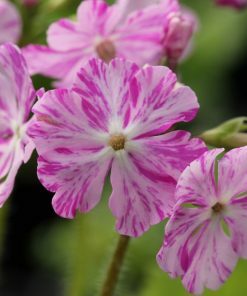 This Primula sieboldii cultivar dates back to the late 1700s of the Edo Period in Japan and is prized for the green variegation on the petals. The name translates as “Flute of Green Leaves”. Wave blooming, slender petalled pin. Pure white deeply bilobed petals. Relatively compact growth. 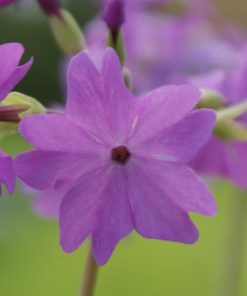 This is one of the later flowering Primula sieboldii cultivars. 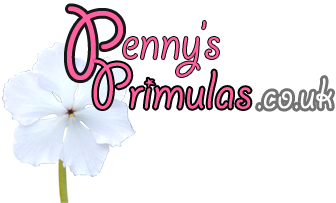 Flat blooming, cherry blossom petalled thrum. 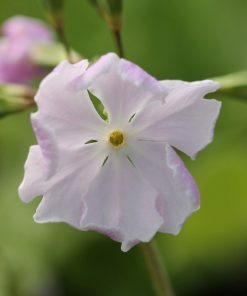 Pale pink flowers, with pale pink reverse. 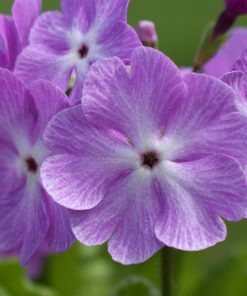 Tends to be one of the later and profuse flowering Primula sieboldii cultivars. 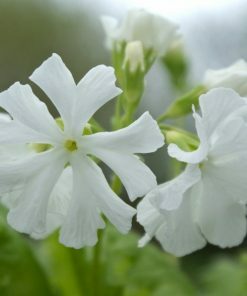 We do not know the origins of this cultivar, which we obtained in 2007. Wave blooming, cherry blossom petalled thrum. Smaller pink flowers with white suffusion in the centre. 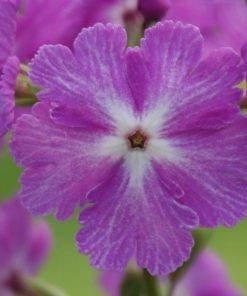 A compact and very attractive cultivar. Flat blooming, overlap petalled thrum. 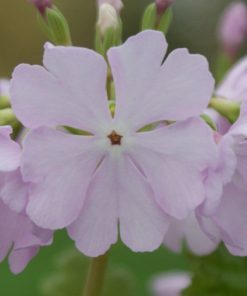 Light pink flowers with white centre and white tracings on veins. 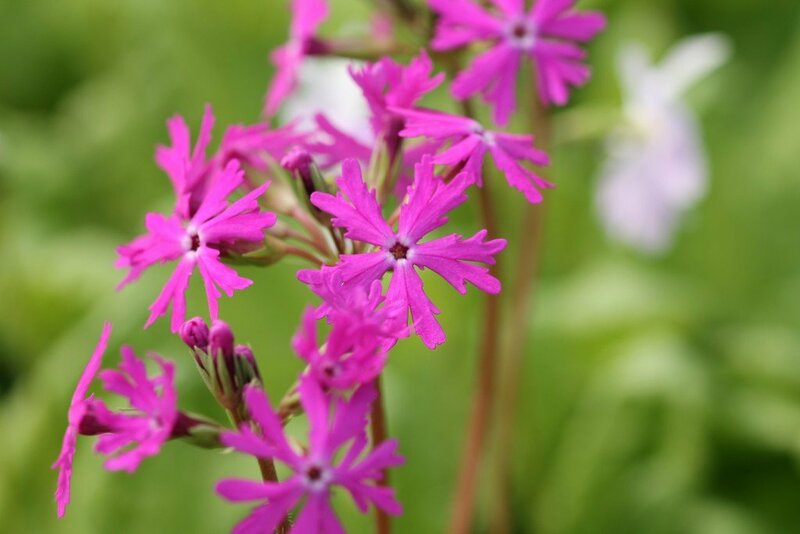 A very pretty and reliable Primula sieboldii cultivar raised by Alan Bloom.